Need Corporate Catering? Visit La Prima Catering. 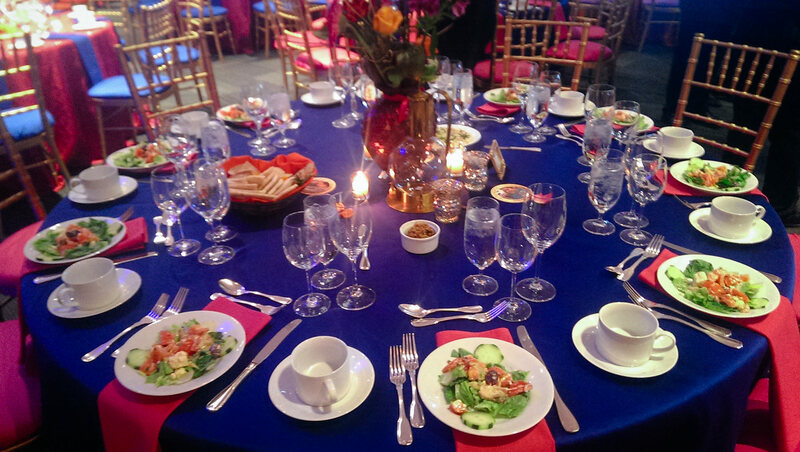 Catering by Seasons welcomed in spring with a number of weddings and special events, including the UCM Spring Gala. 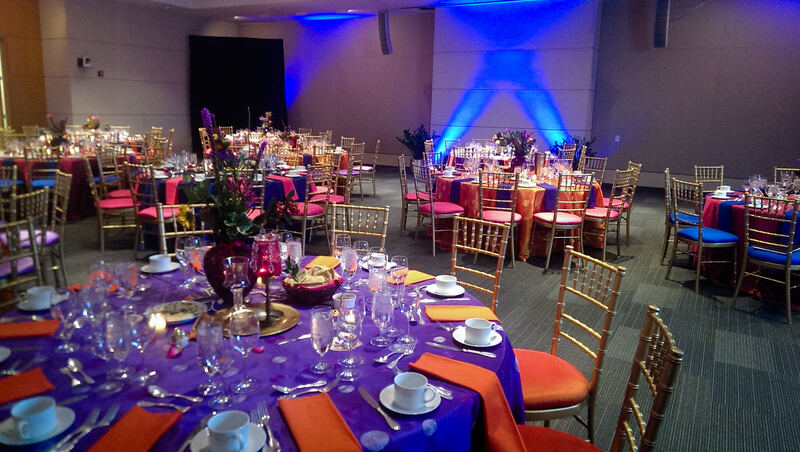 This colorful Arabian Nights-themed celebration at the Patent and Trade Office in Alexandria, VA, raised thousands of dollars to support the Alexandria community. UCM is a non-profit dedicated to empowering the people of Northern Virginia to improve the community. 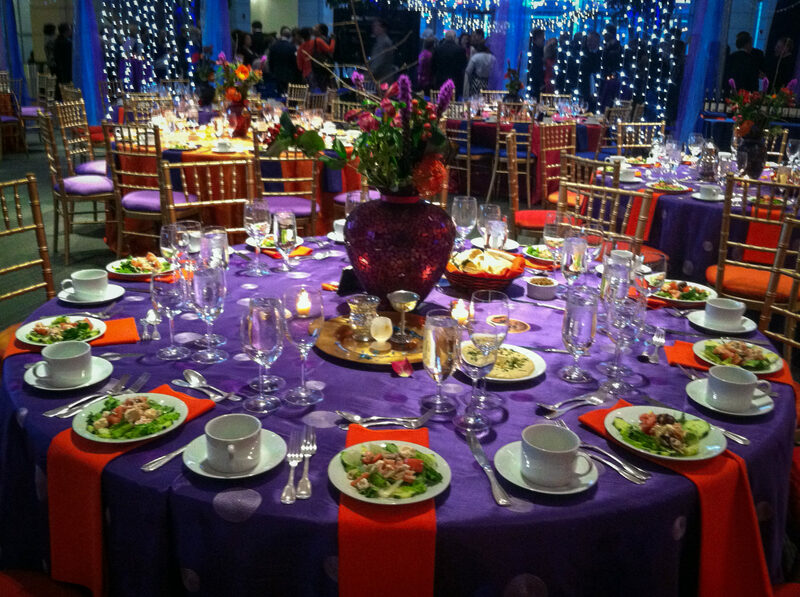 Tables in blue, red, purple and polka-dot made this gala bright and fun, while the assortment of hors d’ouevre provided something for every taste. Middle Eastern Turmeric Shrimp, Mushroom Crostini, Stuffed Dates, Falafal Bites, and Lamb Kabobs were enjoyed during the first part of the evening. Tables featured pita and hummus and the world fare continued with Greek Salad and Moroccan Chicken with sides of grilled eggplant and Middle Eastern rice. Dessert featured Baklava with cinnamon ice cream – a favorite for many guests. 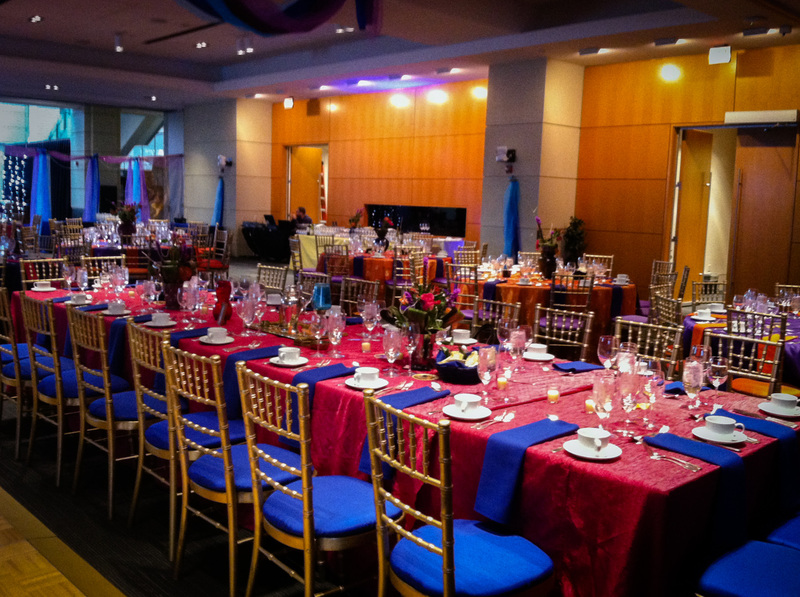 For more gala ideas and event inspirations, take a look at last year’s UCM Gala on our blog. Catering By Seasons exceeded my expectation. I used them for a brunch at my house after my son’s bar mitzvah. The level of professionalism along with their responsiveness made me feel at ease right away. Catering by Seasons is great! We booked them for our wedding. Stephanie was so great with working with us on our desired budget. Stefanie was such a huge help! Everything was smooth, she helped us find ways to cut costs and advocated for us with our venue. © 2019 La Prima Food Group, Inc.